Dr. Fields gave a talk in Las Vegas about orthopedics without a knife. His talk took place at the 23rd Annual World Congress on Anti-Aging Medicine on Dec. 12, 2015 in Las Vegas. Dr. Fields gave a talk entitled “Regenerative orthopedics – non-surgical repair with stem cells/PRP/prolotherapy”. In essence the talk was about alternative treatments to surgeries in orthopedic medicine. Dr. Peter Fields, MD, DC is a board certified medical physician and chiropractor. He is also the director of the Pacific Prolotherapy & Medical Wellness Center in Santa Monica, CA. Joints, muscles, tendons, ligaments and joint capsules control the movements in joints. Due to injuries and wear and tear these body parts can have a lack of function, which will lead to pain and disorders. The result can be weak, torn or damaged ligaments and tendons, arthritic changes, excessive joint motion, increased pressure, and a decrease in range of motion. Joint pain prompts you to see the doctor. You are told it is arthritis, and you get non-steroidal anti-inflammatories (NSAID’s). You come back with more pain, and you’ll get a stronger NSAID prescription. Eventually a cortisone injection is given, which helps for a few months, but then the pain reoccurs. The doctor arranges for an MRI scan. A referral to an orthopedic surgeon is likely to be the next step, and an arthroscopy (pinhole surgery) is arranged. In that case, if this does not resolve the pain, surgery like a knee replacement or hip replacement is suggested. The problem is, that none of these pieces of advice are really helpful. This type of approach does not treat the cause; it is directed against symptoms. How to treat the cause? Prolotherapy is a natural, non-surgical method to assist the body to heal torn soft tissues. It works in cases like torn ligaments, damaged tendons, cartilage, menisci or a torn labrum in the shoulder. Hyperosmolar dextrose solution is injected into the injured area. This stimulates the body’s healing forces and the body repairs what is damaged. More information is found here. In essence, prolotherapy fixes the cause, not just the effect; it heals, and it is permanent. Prolotherapy strengthens tissues, relieves pain and increases the range of motion in joints. There is 80 to 85% full pain relief and more than 80% improvement in range of motion. Prolotherapy promotes the healing of torn or damaged ligaments and tendons. Suitable conditions for treatment with prolotherapy are sports injuries, muscle tears, arthritis, tendinitis, bursitis, sciatica, TMJ problems, and fibromyalgia. Common areas treated with prolotherapy are the hip, knee, shoulder, ankle, neck, lower back and elbow. Dr. Fields showed MRI scans before and after prolotherapy treatments of ligament injuries within the knee and of shoulder ligament tears before and after treatment. Normally the physician expected these injuries to require surgery. But all that was done was one or two injections (prolotherapy treatments) with reactivation of the affected joint. There were astonishing results shown with MRI’s before and after herniated disc injuries and how they healed in a relatively short time following prolotherapy. Platelet rich plasma (PRP) is a tool from regenerative medicine to amplify the healing response in connection with stem cell therapies . The lab technician takes blood from the patient and subsequently spins it down in a centrifuge. The platelet rich fraction (PRP) contains all of the growth factors, which have the healing power of the blood. The physicians combines this with prolotherapy to make healing even more successful. This is particularly useful for labral tears in shoulders, meniscus tears in knees and other localized injuries. Stem cell therapy has been the gold standard for repairing more serious problems. Dr. Fields combines stem cell therapy with prolotherapy to treat more serious injuries like end stage arthritis. This is the case when bone rubs on bone, where conventional orthopedic medicine would offer a joint replacement in the hip or knee. Stem cell prolotherapy can repair any joint that has cartilage damage. A severe meniscus tear in a knee or a severe labrum tear in a shoulder would also be situations where stem cell prolotherapy is superior to surgery or to just using prolotherapy alone. Before the patient’s procedure the physician first harvests bone marrow stem cells by way of a pelvic bone aspirate; secondly the physician obtains mesenchymal stem cells from fatty tissue by aspiration of abdominal fat. A cell separator provides the stem cell fractions. The physician combines both types of stem cells, the bone marrow stem cells and the mesenchymal stem cells from fat as each one has its own strengths. These two stem cell types are more effective in combination to repair whatever tissue needs repair. Thirdly, the lab technician will draw blood from the patient to obtain PRP, which contains the growth factors needed to activate the stem cells to do their job of healing. The last step is that the physician now combines hyperosmolar dextrose (the prolotherapy part) with the stem cell preparation and mixed in PRP and injects this mixture into the injured area. This procedure has superior healing power. Before and after MRI scans of all of the major body regions showed impressive results. Several video recorded testimonials complemented the MRI scans. It is surprising how quickly and completely fairly severe injuries can heal using stem cell prolotherapy. One particularly nasty condition is osteonecrosis of the hip, which can occur as a side effect of chronic cortisone treatment for arthritis, asthma or chronic obstructive lung disease. One or two stem cell prolotherapy treatments will heal this condition because the stem cells build up brand new bone and get rid of the old necrotic bone from the osteonecrosis. Conventional medicine has no answer for this condition. Regenerative orthopedics is successful by using stem cell prolotherapy. What are the advantages of regenerative orthopedics? Regenerative orthopedics reduces pain very quickly and it improves function rapidly. Healing occurs naturally, and it strengthens the tissues involved. Particularly complicated lower back pains or lower neck pains (due to degenerative disc disease, facet joint osteoarthritis, spondylolisthesis and significant foraminal stenosis) respond really well to stem cell prolotherapy, getting rid of chronic pain. The speaker showed before and after MRI scans. He also shared testimonials from patients about the various procedures. This is quite in contrast to what conventional orthopedics has to offer: discectomy with fusion surgery, where the patient often has scar pain later. With a laminectomy to treat a foraminal stenosis the patient may have limited improvement of the chronic back pain for a couple of months, only to experience new back pain from a subsequent spinal stenosis as a late complication from the prior surgery. The end result with conventional orthopedics is disability, pain and suffering; the end result with regenerative orthopedics is a patient that is well, active, pain free and thankful. There is a form of orthopedics without a knife: regenerative orthopedics. The tools are prolotherapy for minor musculoskeletal problems. Some very conservatively minded physicians still scoff at this, but wrongly so. PRP prolotherapy is suitable for more severe injuries that require more healing power. Stem cell prolotherapy is what the physician uses for the severe cases. All of the healing power (minus the knife) is put to use. 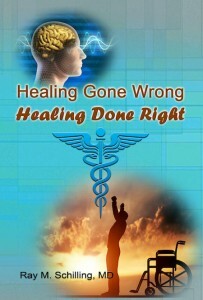 Two types of stem cells initiate healing where there is a need for it. 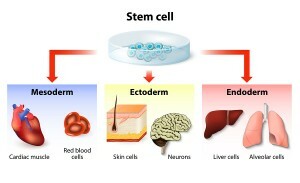 The stem cells transform into the cell types that do the repair. Research has shown in the past that the mesenchymal stem cells alone will not heal cartilage of joints very well, but in combination with bone marrow derived stem cells this heals quite well and efficiently. Healing osteonecrosis and complicated lower neck and lower back problems borders to miraculous healing. Regenerative orthopedics is definitely something to remember should you get into trouble down the road. There are alternatives to the knife! We all age; but can we rejuvenate with stem cells? There is a limit to detoxification, to eating organic food, to exercising, to the effects of vitamins and supplements and even to the effect of bioidentical hormone replacements. The limit comes from our telomeres and from stem cells that get depleted in our body as we age. Some researchers report that in regions where we suffer from a disease stem cells are even more depleted than in the rest of the body. We do not have all the answers yet. We would like to know why our stem cells in the fatty tissue or in the bone marrow do not migrate on their own into an aching back or a sore shoulder. There are all the aches and pains associated with old age. So, why do our own stem cells not help us? They seem to be locked away in fatty tissue and in bone marrow. At the 22nd Annual World Congress on Anti-Aging Medicine in Las Vegas (Dec. 10-14, 2014) I learnt that there is a group of stem cell experts in California with affiliates all over the US. They simply take stem cells from the fatty tissue and sometimes also from the bone marrow, isolate the stem cells through a stem cell separator and infuse the stem cell rich fraction (minus fatty and connective tissue) in a bit of saline solution back into the vein of the patient. When the stem cells are in the blood stream, they get activated by the growth factors that are present in blood and can now find where they are needed and start the healing process. Studies have shown that when stem cells are in circulation in the blood, they are very sensitive to signals from tissues that indicate that there is an inflammatory process. This is why stem cells will repair arthritic changes. The can repair a torn meniscus, a rotator cuff tear in the shoulder or repair a weak immune system. 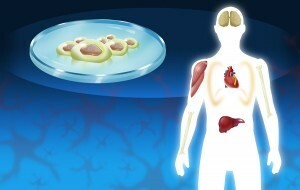 The interesting observation is that stem cells from fatty tissue, also termed mesenchymal stem cells, are pluripotent. 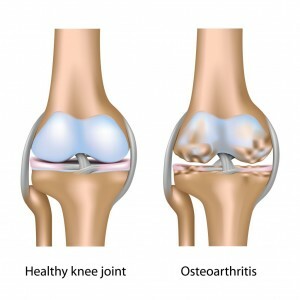 This means they can develop into cartilage building cells (chondrocytes) and build up cartilage; this is badly needed in a person with severe osteoarthritis. But stem cells are flexible: they can turn into meniscus cells in a knee with a torn meniscus. They also can repair the damage and relief the patient of the chronic pain. In a shoulder with a rotator cuff tear they can turn into a tough ligamentous material mending the tear. Some data even indicates that circulating stem cells can repair vital organs like the brain, heart, liver, kidneys and bone marrow; these latter observations were mostly done in animal experiments, but human data is starting to be published in the medical literature. So, let’s examine what has been found useful with regard to stem cells that are taken from your fatty tissue or your bone marrow and injected into one of your veins. Here is a website from Arizona that I am only showing as a typical example (I have no conflict of interest and no commercial connections to this group) of what I described above. With websites like this it is also important to read the disclaimer: “Even though our treatments are done using autologous cells, our Stem Cell Therapies are not approved by the FDA. Stem Cell Treatments are not a cure for any condition, disease or injury, nor a substitute for proper medical diagnosis and care…” Another website from La Quinta, CA describes the use of mesenchymal stem cells for regenerative therapies. Stem cell treatments are in flux. There is a large body of knowledge that has accumulated showing that with proper technique and aseptic conditions it is a safe procedure. The FBA has been watching this. There are publications regarding the safety of procedures with adipose mesenchymal stem cells; here is one example. The next step is to show in clinical trials that a certain procedure with stem cells is effective in treating a certain condition. Below I did a literature review, which are only a few examples, but does not claim to be complete; it highlights some of the problems with stem cell treatments. This study from India showed no statistical difference of stroke patients treated intravenously with bone marrow derived mononuclear stem cells (the experimental group) and the control group that did not receive such treatment. The investigators examined both groups with functional brain tests and performed PET scans to look at the healing of the brain lesions. Unfortunately the tests showed no statistical difference, but did show that the stem cell procedures were safe. It may be that the wrong stem cells were used (mononuclear bone marrow stem cells) when adipose derived mesenchymal stem cells may have done better. In stark contrast to the study from India is the stem cell treatment for a severe stroke in the former hockey player, Gordie Howe that has gone through the media recently. His procedure was done in Mexico. The stem cells were administered via a lumbar puncture approach as well as intravenously. As you can see from this case, stem cell treatment is even possible in patients who are in their mid 80’s with impressive results. Here is a feasibility study from March 2014. A 71-year-old Asian man with progressive supranuclear palsy, an aggressive form of Parkinson’s disease was treated with adipose tissue-derived mesenchymal stem cells that were administered intravenously and intrathecally (to get stem cells into the cerebrospinal fluid that bathes the brain). A remarkable functional recovery took place. This is a report of pulmonary embolism after administering intravenous adipose tissue-derived stem cell therapy. The blood clots in the lungs were treated with anticoagulant therapy. Repeat CT scans of his lungs showed later that the emboli were dissolved spontaneously. It is not clear whether this was a case where familial clotting problems pre-existed as a relative of this patient experienced a similar occurrence after stem cell therapy as well. A rare form of autoimmune disease exists where the body forms antibodies against platelets that help your blood to clot. Here is a paper from June 2009 that describes how a man with this disease was cured using adipose tissue-derived mesenchymal stem cells that were injected intravenously. This case report from India shows that adipose tissue derived mesenchymal stem cells that were given at the time of a kidney transplant to treat end stage kidney disease. The treatment stabilized the condition of this patient after a kidney transplant. At the same time some of the mesenchymal stem cells differentiated into insulin producing cells, which made it much easier to control this patient’s diabetes. In this case stem cells were providing stability following an organ transplant (kidney) and some stem cells turned into insulin producing pancreatic cells. In this study from South Korea dated January 2012 two cases of osteonecrosis of the hip, where the hipbone died (osteonecrosis) are described. The following stem cell protocol helped: The fraction that contained the stem cells (called stromal vascular fraction) was mixed with platelet rich plasma and hyaluronic acid. Using a long needle this mixture was injected into the affected hip joint. Conventional medicine has nothing to offer except a total hip replacement. But here are two cases that showed complete resolution of their pain, regained hip function completely, and healing could be documented with the help of MRI scans. Here is a paper from The Netherlands, published in June 2014 that describes the problems with stem cell treatment in humans. It points out that much has been learnt from animal experiments. The problem following a heart attack is that there is a massive inflammatory response in the infarcted heart muscle, which makes it difficult for stem cells to establish themselves in the injured heart muscle. However, stem cells have been shown to prevent the development of cardiomyopathy that follows a massive heart attack and often is the cause of death. More refinements are needed for successful treatments, such as the ideal timing of stem cell injections in relationship to the time of the heart attack, the best treatment approach and what number of stem cells to inject are all questions that still need to be answered. Experimental encephalitis in mice is used as a model for MS in humans. It helps to preselect potentially effective treatments for MS in humans. In this 2013 paper from Australia researchers used mesenchymal stem cells from adipose tissue and injected them intravenously. To their surprise the mesenchymal stem cells were able to penetrate the blood/brain barrier and end up in the myelin lesions inside the brain. In contrast, bone marrow derived stem cells were unable to do that. The researchers stated that adipose mesenchymal stem cells should be considered “as a cell therapeutic that may be used to treat MS patients”. A group from Iran published this paper in February 2015 further emphasizes that mesenchymal stem cells would be a logical way to treat MS in humans. As we get older the immune systems weakens because of a process called immunosenescence. A research group from Austria published a paper in December 2011 that is typical for the thinking that mesenchymal stem cells from fatty tissue have properties that help the immune system to get stimulated. Based on this human data it should be possible to stimulate the immune system by giving stem cells from the fatty tissue to the same person intravenously. This publication shows that this process, which would benefit people above the age of 50 or 60 when the immune system gets weaker, will indeed stimulate the immune system. However, at this point we do not have the data of large clinical trials where this would have been done with measurements of the immune function before and on several occasions after stem cell injection to get a feeling for how long the effect would last. We also do not know whether this procedure is associated with longevity. Stem cell therapy is definitely coming and many applications are already established as I discussed in a prior blog. It is only recently that physicians are no longer worried about creating tumors with stem cell transfer. Now we are in a phase where various stem cell transfer methods (intravenous, intrathecal, interstitial) are being tested as a treatment for various illnesses. It looks like stem cells from fatty tissue may soon be used intravenously, but I have not seen any such trials when checked on PubMed. The activation of stem cells by laser light has only been mentioned sparingly in the literature. This combination (laser activated, intravenous mesenchymal injection) has the potential for being useful for a multitude of chronic illnesses like fibromyalgia, MS, generalized arthritis, just to mention a few. Mesenchymal stem cells are anti-inflammatory, and they can mend defects without leaving scars. Disfiguring head injuries from car accidents, work injuries or personal injuries left plastic and cranial surgeons with the problem of how to fill the gaps. This problem may soon be medical history as a new polymer foam material has been invented that serves as a scaffold. With its interconnected pores it allows bone to fill the gaps and subsequently gets absorbed leaving new bone in the place where the scaffolding foam had been placed by the surgeon. Texas A&M and Rensselaer Polytechnic Institute researcher Melissa Grunlan who is an associate professor in the university’s Department of Biomedical Engineering develop this material together with her co-workers. It has interesting properties. 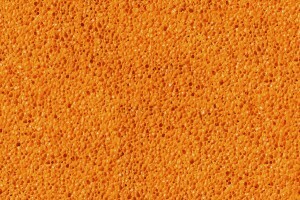 The shape of memory polymer foam (SMP foam) is malleable when treated with warm saline water and can be fitted into the bone gaps from the injury. After a short time it hardens in place and provides the scaffolding needed for new bone growth. This new material lends itself to fill gaps from birth defects (like cleft palates), from facial injuries or from the removal of bone tumors in the head, jaw or face. Traditionally, bone grafts were used to fill gaps. They had to be taken from an area like the hip, but there were problems attaching these grafts to the underlying bone to which the graft would hopefully attach to in the future. Many complications could occur like graft absorption leaving the original defect or infection of the grafted material. With the new polymer foam material there is instant attachment, instant shaping of the surface of the material and very quick population of the foam with bone cells from the surrounding bone. In addition, the polymer foam has all its surfaces coated with a bioactive substance that attracts bone-forming cells, called osteoblasts. 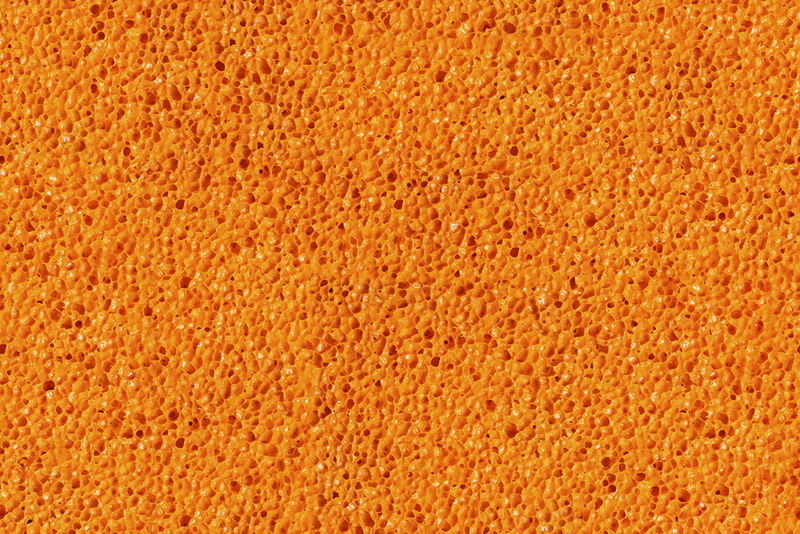 Experiments have shown that after only three days the coated sponge channels attracted five fold more osteoblasts than that of uncoated control foam material. Traditionally, bone grafts are used to help with complicated fractures in the healing process. In spinal surgery bone grafts may be required to over bridge facet joints with end stage arthritis, as following successful healing after fusion surgery the back pain will improve significantly. Bone grafts have also been used when bone defects were present from severe infection, injury or congenital defects. In these cases the bone graft is used to fill in the defect. Finally, bone grafts are sometimes necessary to fill in bone following surgical hip joint replacements or after repairs of fractures with plates and screws. More about these traditional bone graft techniques can be found through this link. 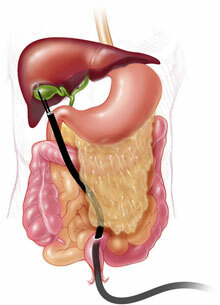 Complications depend very much on the location of the surgery and what type of procedure is being used. For instance when it comes to fusion surgery in the lower neck or lower back region, the traditional success rate of fusion surgery is about 70%, which means that in 30% of cases the procedure did not work. On the one hand the combination of mechanical stabilization through instrumentation with bone grafting has increased the success rate of fusion surgery above 70%. But smoking, older age, osteoporosis, obesity, diabetes, and prior spinal surgery have decreased the success rate as indicated in this review. This overview about autografts (bone graft in the same patient), allografts (bone grafts with bone from a bone donor center), xenografts (bone from an animal) as well as synthetic bone grafting explains more details about these topics. Another website also contains useful information about this topic. In the same facility Duncan Maitland, associate professor in the university’s Department of Biomedical Engineering, is researching the use of SMP foam for the treatment of brain aneurysms in humans. A flat piece of SMP foam is introduced into the aneurysm, a sac-like pouch of a brain blood vessel and activated through heat from a laser beam. This actives the foam to become round and fill the pouch of the aneurysm, closing off the area that could have ruptured and led to bleeding. This application has to be proven in clinical trials as well as does the use of the SMP foam for bone defects. Often in medicine new ideas were necessary to lead to progress in treatments. For instance when hemoglobin A1C was detected by an Iranian team of doctors, all of a sudden a powerful tool to monitor treatment of diabetes had become available. Prostate specific antigen (the PSA test) is another example of a test that allows for a much earlier diagnosis of prostate cancer. Earlier detection of prostate cancer leads to a more successful treatment of this cancer. With memory polymer foam (SMP foam) physicians will soon be given a new tool of closing big bone gaps to help their patients overcome unsightly appearances or unstable situations in the spine or in other body locations. The brain aneurysm application will help prevent brain hemorrhages. More research is needed for these clinical applications, but the initial research shows a lot of promise. 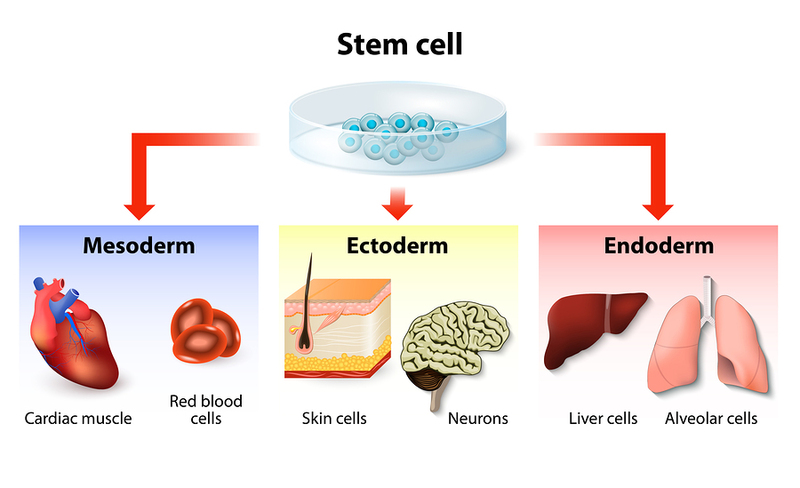 Stem cells got a bad reputation in the beginning, because it was thought that embryonic stem cells would be required to treat degenerative conditions. Immediately this raised an ethical flag, as embryonic stem cells would have been derived from a dying fetus. This created a lot of unnecessary division among the public and scientists. It turns out that for most treatments there are enough stem cells in the body, as I will explain below, but initially this was not known. The next bad rep came from Dolly, the sheep that was born on July 5, 1996. She only lived for 6 years, because the telomeres were short like that of an old animal and she died of a progressive lung disease. To create Dolly a complicated stem cell technique was used called “somatic cell nuclear transfer”. Three animals were required to achieve this. One animal provided an unfertilized egg cell from which the nucleus was extracted. From the second animal a breast gland cell was used to donate a cell nucleus and a third animal was used as a surrogate mother. After some cell divisions the blastocyst was transferred into the uterus of the surrogate mother who carried baby Dolly until birth. Fast forward to 2013. We now know that stem cells are fragile cells that do not like too much manipulation. Stem cells have long telomeres so they are younger than the typical cells of the body. We know that stem cells can be found in the bone marrow, in fatty tissue and many other organs. In the last few years a lot of research has been done and this has already translated into practical applications. 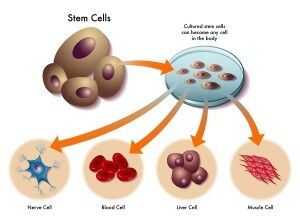 Originally stem cells were considered to be cells that could develop into any variety of body cell. At that time they were thought to only derive from the bone marrow or from fetal tissue. Scientists called these cells “pluripotent cells”. In the last years it was noted that turning off a gene called SP100 could also prompt a body cell to become such a versatile, pluripotent stem cell. They are called “induced pluripotent stem cells” to distinguish them from embryonic stem cells, which have been highly contentious with religious groups. In recent years matters have been simplified with the observation that mesenchymal stem cells are distributed freely throughout the body and can be harvested fairly easily from fatty tissue by liposuction. This latter technique is preferred, as it does not involve any manipulation of the stem cells themselves. The fact that mesenchymal stem cells are freely available in fatty tissue has already been employed by plastic surgeons in the US and elsewhere for a minimal invasive plastic surgery called “space lift” where fat is removed by liposuction, the fat graft is separated with a cell separator into a fat cell fraction and into a mesenchymal stem cell rich fraction, which are injected together into various areas of the face where subcutaneous tissue is needed. The mesenchymal stem cells enable the fat cells that were transplanted to latch on to the small vessels in the transplanted area so that they survive permanently, and the result is a more youthful appearance of the face (see image). This is the secret of film stars in Hollywood. 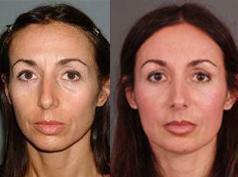 Nowadays the plastic surgeons in Beverly Hills do not do the conventional facelifts so much as they lead to artificially looking faces, but rather do the minimal invasion space lift for the natural look. Why wait with degenerative diseases of the knees, hip or of the lower back until there is permanent scarring and disabilities? With a similar technique described under point 1 above one can inject the mesenchymal stem cell rich fraction (without the fat cells this time) into the joints that are affected with degenerative changes (knee joints, hips, facet joints along the spine). The result is that cartilage is recreated by the transferred mesenchymal stem cells and the patient becomes pain free and regains mobility! But as with other diseases it is important to intervene early enough before permanent damage has set in. Another exciting development is intravenous injection or injection via an arterial catheter into failing organs. Heart failure is an end-stage heart disease, where conventional medicine has nothing to offer other than symptomatic supportive medication. However, mesenchymal stem cells can be injected into the blood and the pluripotent stem cells will find the weak areas in the heart muscle where they transform into heart cells and give the existing heart cells a boost. The result is that the heart pumps more forcibly and the symptoms of heart failure disappear. Similarly, there are trials that show that Parkinson’s disease can be positively influenced with injections of the mesenchymal stem cell rich fraction. Treatment of patients with liver failure using mesenchymal stem cells is being investigated, but is still in its infancy. With regard to mesenchymal stem cell treatment of chronic kidney failure early human experiments on 30 patients showed very encouraging results. Although this field is very promising, more caution is in order with regard to laboratory-manufactured stem cells. More trials are needed to show that they are ready for use in regenerative medicine. In other words they have to show similar or even better successes as the present results achieved with mesenchymal stem cells that were directly harvested and left unchanged as described above. Back problems can be a source of chronic pain and it is a significant reason for disability in the general population. Often the patient lives with the problem, and treatment with pain killers or over the counter remedies proves to be useless. Once the symptoms are becoming more severe and there is a feeling of numbness that extends into the leg or foot, even the most stoic back pain sufferer will seek out medical advice. Tests such as a CAT scan or MRI scan will reveal that the reason for the chronic pain is a herniated disk. The only treatment that could be offered has been a discectomy which is performed by an orthopedic surgeon. So far fusion surgery has been the modality of choice, which has the unfortunate consequence of predisposing patients to degeneration in other levels of the spine as the wear and tear following fusion surgery is higher at the adjacent levels. Dr. Dike Ruan from the Navy General Hospital in Beijing reports about a new treatment in the form of disc transplantation instead of fusion. Artificial materials have been tested and the results have been very variable. Contrary to organ transplantation it is possible to work with donor material from non-related persons as the inert disk material does not cause transplantation rejection. 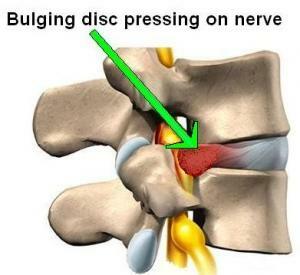 The herniated disc is removed including the adjacent end plate and a fresh-frozen composite disk with end plate is introduced. Five patients who underwent the procedure had improved neurological status after three months. Also the bony union at the end plate was nearly complete after three months. Long term follow up, which continued for at least five years, continued to show improvement. Contrary to organ transplants in which anti-rejection drugs have to be used, the disk transplants caused no immunological reaction. Motion and stability remained excellent, and only minor degenerative changes were observed after five years. With further refinements, such disc transplants will likely become an effective alternative treatment for degenerative disc disease. CT scans are important diagnostic tools in medicine. They are generally performed in radiology departments or departments for diagnostic imaging in hospitals. They are extremely useful to get detailed information that surpasses the simple findings an x-ray can provide. Recently CT scanning has been used as a tool by archeologists to examine a patient that has passed away 3,300 years ago. Tutankhamun, the Egyptian king, died very young. After an x-ray examination in 1968 which seemed to detect bone fragments in the boy king’s skull, it was speculated that he had been a victim of foul play. Dr. Ashraf Selim, a radiologist at Cairo University and leader of the CT examination of King Tut, did not find any evidence of this. 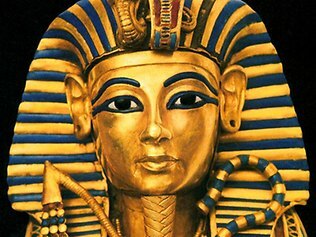 During the discovery of the mummy by the Englishman Howard Carter in 1922 Carter and his cronies were quite rough, when they tried to remove the pharaoh’s golden mask, and as a result some bone fractured, which also matched a defect within the first cervical vertebra. This being an injury long time after death excluded foul play. What was obvious in the CT finding was a fracture to the femoral bone, which occurred before the death of the young king. While researchers cannot assess how this injury happened, the findings suggest that the injury was likely an open wound that became infected and led to the untimely death of the king (no antibiotics there at that time). It is rare that archeologists will draw on CT scans to uncover a mysterious death, but CT scans are not only tools for specialists like orthopedic surgeons or neurologists. They can be a helpful tool to assist in other areas of medicine such as forensic medicine to find valuable insights. Natural orifice transluminal endoscopic surgery (NOTES) has become increasingly popular during the last few years. This is not surprising, as a surgical procedure which does not need an incision is less threatening for the patient. Unsightly skin scars are not a concern and recovery is usually less complicated. Procedures have become more varied. Transvaginal procedures have been performed for a number of years, such as vaginal hysterectomies. In 2004 Anthony Kalloo, a gastroenterologist from John Hopkins University reported on the feasability and safety of gastrointestinal surgery and research has proceeded at a stunning rate. The idea behind NOTES is to use a body orifice (the oral cavity in the case of gastro-intestinal surgery) as an entry point to the surgical area. An incision into the abdominal wall is avoided. The concept of minimally invasive surgery is not new, as laparoscopic procedures for gallbladder surgery and hernia repair are currently in use. Joint surgery through arthroscopic surgery is common and surgery to the pineal gland in the brain has been performed by using the nostrils as an entry to the area. Experience in gastrointestinal surgery through natural orifice transluminal endoscopic surgery at this point is limited. Seven transgastric appendectomies have been performed by the surgeons Dr. N.Reddy and Dr.V.G Rao in Hyderabad, India. The research group from John Hopkins is aware that this new technique will revolutionize surgeries, but there is the sentiment that things should not be rushed. The procedures need to be thoroughly researched to ensure that they are safe and beneficial to surgical patients. To this effect the Natural Orifice Surgery Consortium for Assessment and Research (NOSCAR) has been formed in the US, which promotes research and monitors safety of these new approaches of less invasive surgeries.